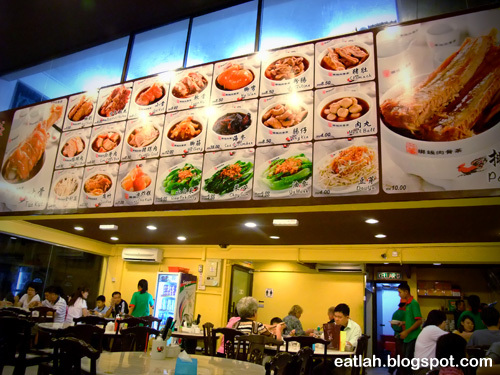 Yi Xiang Bak Kut Teh @ Macalister Road, Penang | where and what to eat lah? 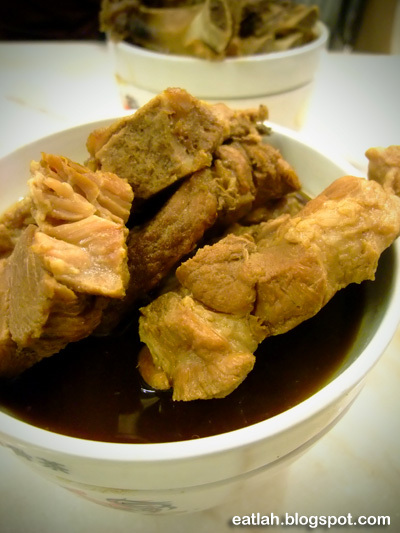 Right across New Lane (Lorong Baru) hawker stalls, lies a new brightly-lit spacious restaurant selling bak kut teh with a twist. Well since I was there, I gave it a try. 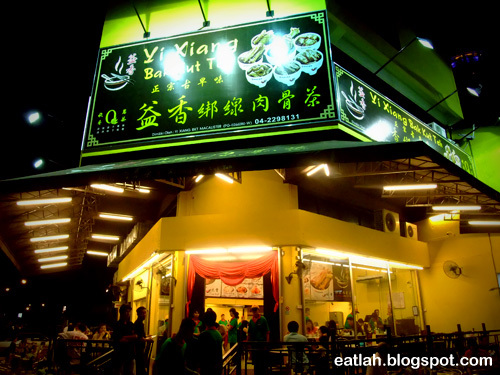 Interestingly, I didn't know that Yi Xiang Bak Kut Teh is also available at SS18 in Subang and Puchong. 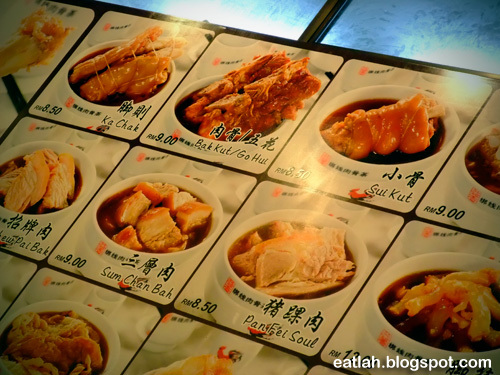 The concept here is similar to the authentic Klang bak kut teh, pick your cut of meat and they'll serve it in a small bowl with precious little thick soup. 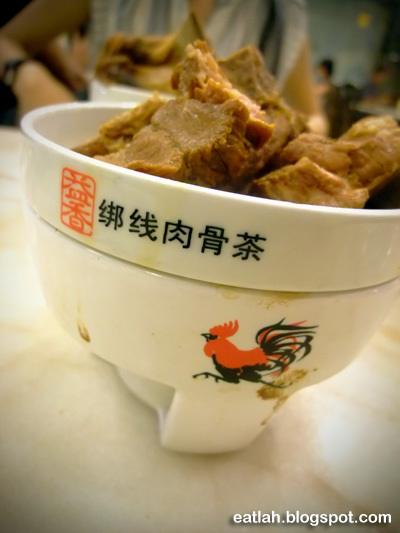 No such thing as the claypot gimmick with mushroom, beancurd and vegetables - just pure tender meat goodness. You'll have different cut of meats to choose from and they're priced between RM 8 - RM 12/bowl. 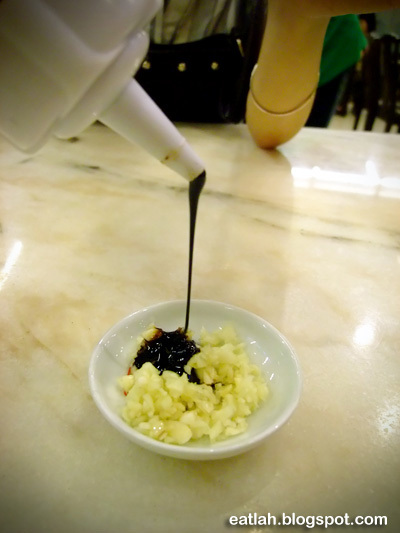 Comparing to Penang's street food standard, Yi Xiang can be quite expensive but in KL, it is actually same price with the popular ones like Mo Sang Kor and Ah Her. 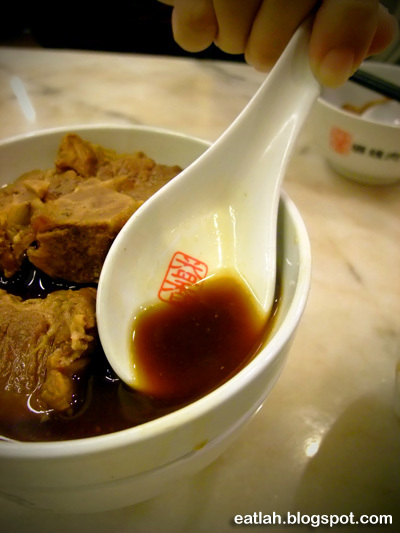 Bak kut teh is at its best taken together with dipping sauce comprises of cili padi and minced garlic in a full-bodied condiment of light soy sauce and dark soy sauce. Instead of serving it over a normal bowl, Yi Xiang uses a mini pot-bowl combination with a burning flame underneath to keep the soup hot. More like drying up my precious little soup faster than keeping it hot. Go hui (RM 9), wasn't too quite sure which part of the pork it was but I wanted something lean. It was indeed lean and it wasn't tender enough to warrant for its price tag. The soup do looked thick, black and promising but it was lacking in the rich herbal taste. However, the good thing is they do refill the soup without any hesitant. Pai kut (RM 10), with about 3 pieces of decent size pork ribs. Again, it wasn't tender enough. Probably lacking of the long hours of slow cooking. Verdict: For the same price tag, I'd rather go for other popular Klang bak kut teh like Mo Sang Kor. Anyhow, Yi Xiang in Penang is still packed with people despite the lack of herbal richness in their soup and meat tenderness. 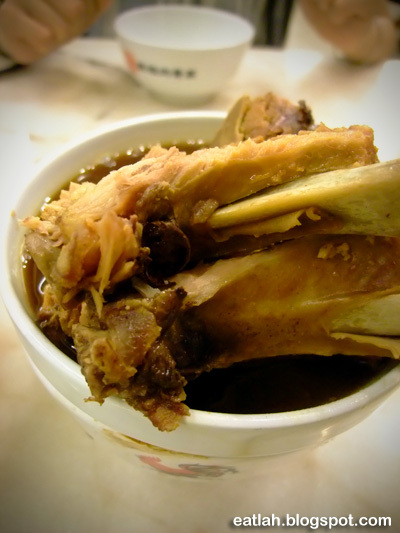 Maybe there isn't many good bak kut teh in Penang? Business Hours: Opens daily from 10am - 3pm and 6pm - 11pm. Closed every fortnight Tuesday.